Therapy is all about you. It’s a place to focus on yourself for a while. A place to talk with someone friendly, independent, and sincerely interested in you. A place to speak safely about the challenges of daily life – relationships, stress, depression, whatever’s on your mind. We like to see clients feel better fast, so that’s what we work to achieve. 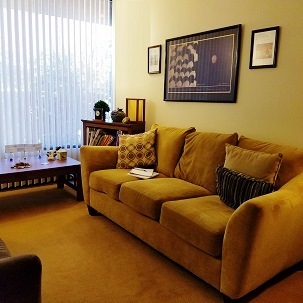 Most people come here for just a few weeks: we know the biggest benefits of therapy usually happen in the early stages. – Together, we offer two-on-two counseling to couples. 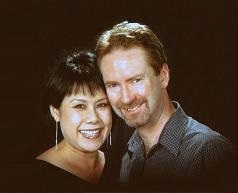 We’re both licensed marriage and family therapists as well as licensed professional clinical counselors. Our office is comfortable and welcoming. It’s a place to relax and feel safe. But it’s also a place to get to work; and if you’re ready, you can take the first step in a few seconds. Ready? Call us at (818) 835-2514, or write us on the contact page. One of us will respond personally, promptly and professionally. You decide if we fit what you’re looking for; and if we do, let’s arrange to meet. There is never a hard sell. We actually do pick up the phone (when we can)! And we return calls!! So if you get our voicemail, please use it.